Here is your opportunity to stand above the crowd when it comes to email marketing. You'll look like the true professional, expert and authority. You'll b getting 3 high quality pre-made newsletters that are professionally created. Each newsletter is 5 pages in length with over 3,000 word each, they are packed with some quality, usable content. These sets also have pre-made spots to add advertising banners for related products. Add banners that link to affiliate programs, such as clickbank, or link them to your own products, it's your choice. Put in some instant commission programs you could have some instant payments in your pay pal account. They even come with a quality header image on every page. The newsletter are perfect in the fact that your giving them some solid content and it's the perfect time to recommend related products or services. Of course them come in Word DOC format so you can edit or change them anyway you'd like. You'll also be getting a full set of PSD image files, so you can edit or change the graphics as needed. Includes a professional high quality squeeze page that is sure to convert visitors to subscribers. A matching thank you page is also in the package. It comes with everything you need to build a list, even some fantastic content to send to that list. 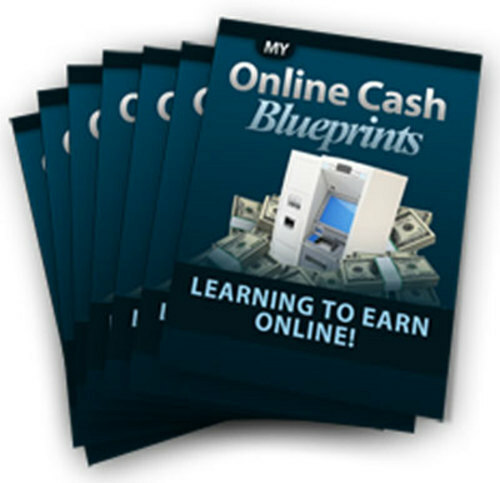 Learn The Insider Secrets To Making A Killing Online By Getting The FREE "My Online Cash Blueprint" Newsletter! Now You Can Learn All The Insider Secrets To Making A Killing Online With By Getting Your Free Subscription To This Info Packed Newsletter! Here's just some of what I cover in this tell all newsletter each week! Killer list building techniques including information on squeeze pages, creating valuable free offers that MAKE people want to join your list, how to create emails, and so much more! Several different techniques on how to profitably use social media and marketing in your business! Awesome techniques for using other people to drive traffic to your offer! How to use content you can easily find online or create yourself to get traffic flowing to your site day after day!